WIC health and nutrition education in the clinic, at home or anywhere in between. 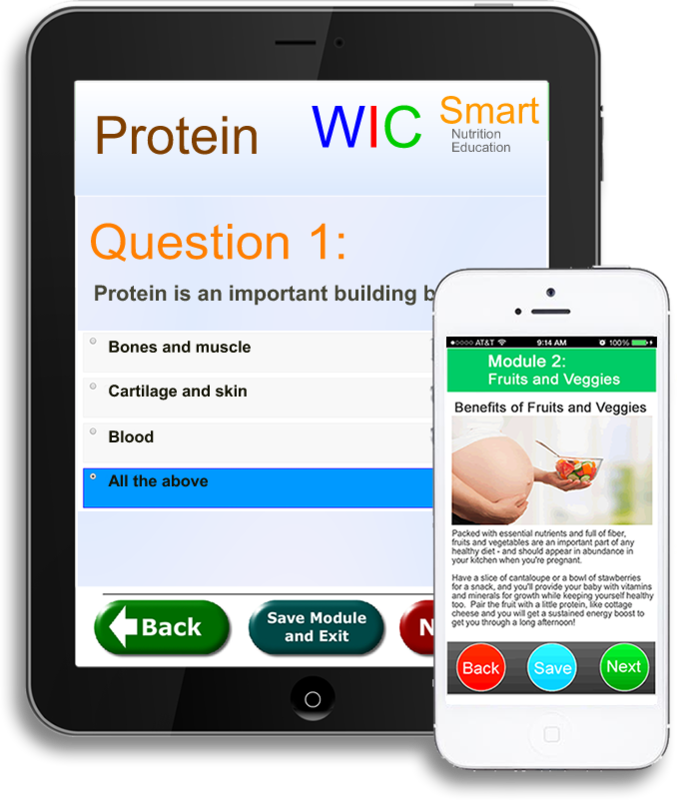 WICSmart revolutionizes health education for both the WIC Participant and State agency. For the WIC participant, it’s lessons on the go. Log in from anywhere on any device to complete your lessons. One of life’s interruptions get in the way? No problem. Save the lesson and resume where you left off later. 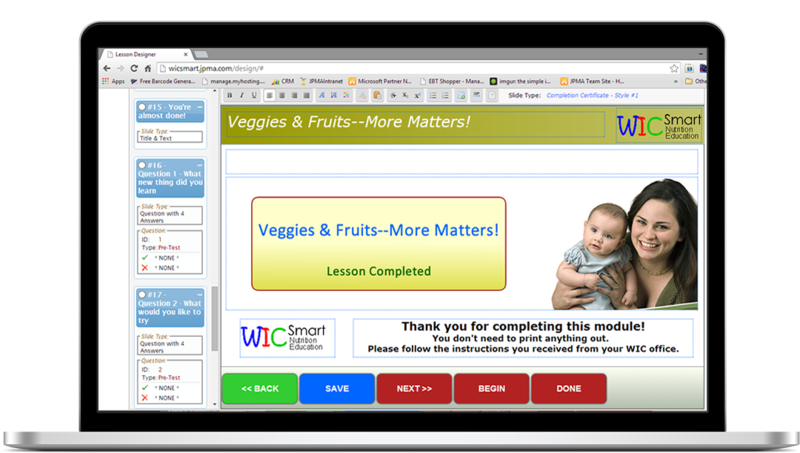 For WIC Agencies, WICSmart allows you to completely customize your participant’s learning experience using the WICSmart Lesson Builder. Start by customizing a lesson from our extensive lesson library designed by other WIC experts, or build your own. Our simple drag and drop interface makes it easy to build engaging multimedia content, complete with your own voice-overs! Providing engaging education content to your participants has never been easier. 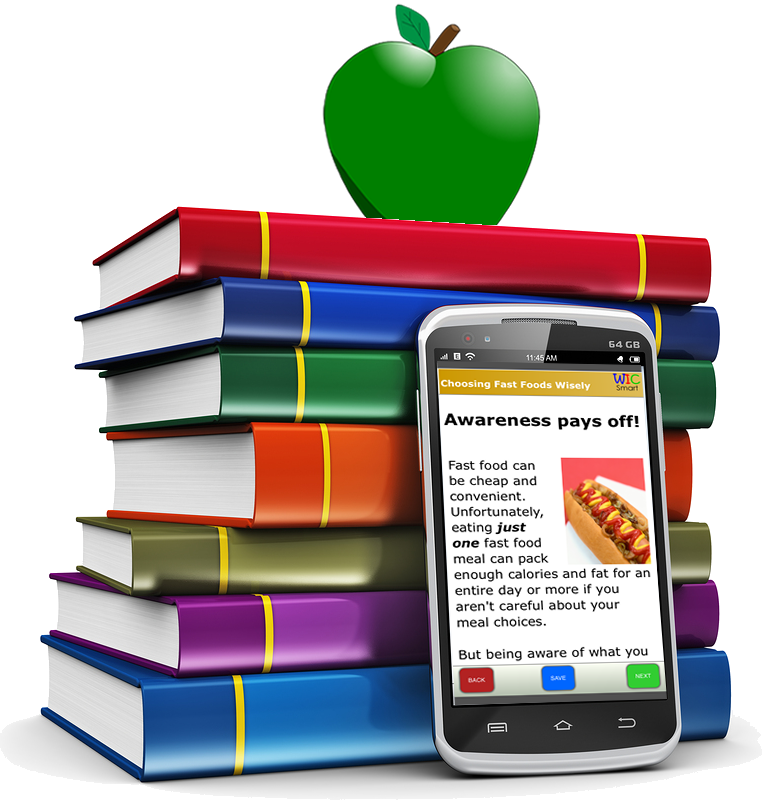 Using their mobile device, participants can view and complete all the lessons assigned to them by your nutritionists. They can even start a lesson now and complete it later if (when) things get hectic. Lessons built on our Lesson Builder platform are specifically designed for mobile devices for easy navigation. When completed, the nutritionist can review the results to determine the next step. WICSmart is the most effective and convenient means of delivering lesson content to WIC participants. Customize, modify or create lessons for your agency. It’s up to you. And its included in your WICSmart subscription. In the clinic, at home or anywhere in between, participants can view assigned lessons and complete them right on their smartphones. No matter where your participants complete their lessons, the results are reported up to the WICSmart cloud, so your nutritionists can review the results from anywhere. Provide your participants with the most convenient and effective platform available for WIC nutrition and health education. Join today and have 60+ lessons created by WIC Experts at your disposal. Customize, enhance or develop your own lesson content.